Thursday April 11, 2019-Former Jubilee Party Vice Chairman David Murathe has revealed how Deputy President William Ruto manipulates Government tenders and end up with billions in his pocket. Speaking during an interview with KTN's Tony Gachoka, Murathe noted that such treachery is what has made him hate the DP and vowed to oppose his 2022 Presidential bid. He described Ruto is a man who could call procurement officers and give them instruction on how to award tenders. Murathe further revealed that Ruto would be part of the teams that inflate tender costs, adding that he had witnessed that himself. 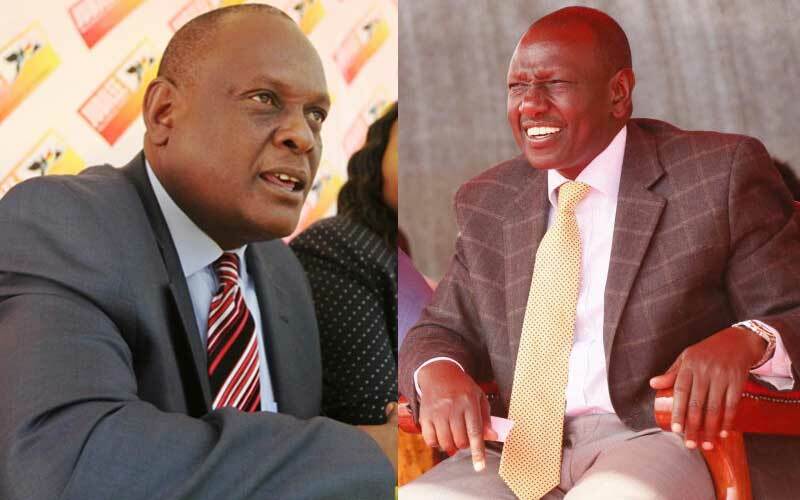 "I have witnessed and said it publicly in some other TV shows," Murathe admitted. "If the DP can behave the way he is behaving today, what will happen if he becomes Air Force One of this country? " Murathe posed.